What Happens If You Smuggle Drugs Into a Massachusetts Prison? Reading today’s Brockton Enterprise an article about certain Massachusetts drug crimes caught my eye. 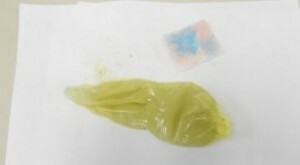 Three people, Jose, Evangelina and Kyle Rocha of Taunton were arrested after police charged them with secreting drugs in a condom and placing it in a housing complex where a prisoner on work detail was supposed to be cleaning. Police saw the suspects enter the housing development, enter a building and exit shortly thereafter. The officers searched a bathroom in that building and found the drugs. All three defendants have been charged with possession of drugs, drug conspiracy and conspiracy to deliver drugs to a prisoner. This article examines what happens if you smuggle drugs into a Massachusetts prison. How Is The Crime Defined? Massachusetts General Laws Chapter 268 Section 28 states that anyone who delivers drugs to a prison or possesses with the intent to deliver drugs is guilty of a felony and can be punished by up to five years in state prison. The Massachusetts district courts have jurisdiction over these matters as well and a conviction there could result in no more than two years in the house of correction. Here, the Rocha’s might think that since the work release site was not a prison or house of correction the statute will not apply. This defense would likely fail in that Massachusetts case law has suggested that work release facilities are an extension of the penal institution for he purpose of the inmate’s status. What if the Defendants Are Convicted of Conspiracy? As applied to this case the conspiracy charge is interesting. If the conspiracy is the distribution of the drugs then the defendants are looking at a potential five-year state prison sentence. If however the conspiracy is for the crime of smuggling drugs into prison then there is a maximum sentence of two and one half years in the house of correction. Here is what interests me about this case. Why were the police outside of the housing complex in the first place? What were they doing watching the Rocha’s? Did someone inform the cops that this operation was going to unfold? And how can they attribute the drugs to the Rocha’s. 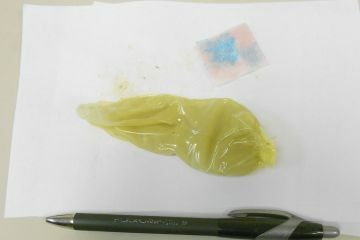 Did anyone seen them put the drug filled condom in the bathroom? Was the condom printed? Or did the Rocha’s make statements about their intentions. The answers to these questions will in many ways direct the defense attorney on how to handle this case. Finally, what was the involvement of each of the defendants? Did they all know what was happening? If so, how is the prosecution going to prove that? We have been defending drug cases in Massachusetts for nearly thirty years. We have an unmatched record of success defending the accused in a wide variety of crimes. We have never been confronted with a criminal accusation that we could not defend. If you are in trouble you need a lawyer. Attorney Stephen Neyman can help you with your case. Call us at 617-263-6800 or send us an email. We can be reached at all hours.